Do not let difficulties with low-quality IT management software which hold back your business. Too much business potential is lost every day due to distractions caused by failures in software. Your company should not be forced to delay or hinder operations so that critical staff time can be spent correcting and supporting software that does not get the job done. At SolarWinds, they provide businesses with IT management software that manages your network without needing you to spend so much time supporting its own activities. 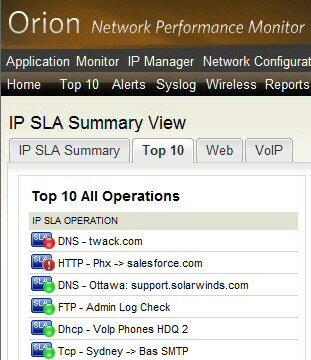 Monitoring your network has never been easier than it is with the Orion IP SLA Manager. Let the software observe and analyze your WAN performance. It comes with an automatic IP SLA setup and can effortlessly identify issues at your remote sites. This is the flagship product of SolarWinds. It can manage networks of any size even as you expand and alter them. The Orion provides real time data about its analyses of performance from routers, servers and an array of critical devices and hardware. Besides analyzing problems, the Orion can recommend solutions. The greatest characteristic of this software is its ability to detect and solve issues that crop up regularly with any sizable network. It is time to move beyond spreadsheets. 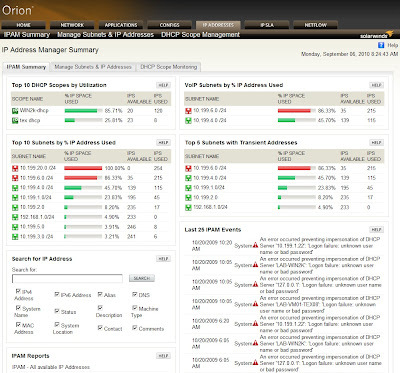 The Address Manager provides a comprehensive solution to IP address conflicts that can crash network devices. It is essentially a centralized platform for address management that lets you leave behind spreadsheets and control IP address space. These and other IT management software from SolarWinds can do more that make your business easier to manage. With so much effort removed from supporting your network, you can put more energy into developing your company. 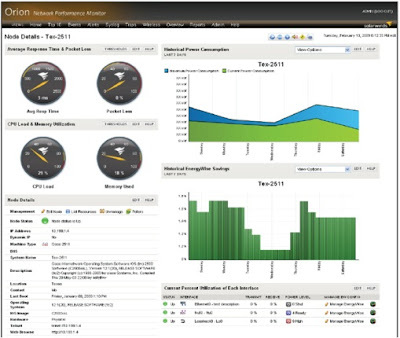 Let SolarWinds provide the software that will help you advance profitably into the future.